We don’t know many moms that love the stress of the crazy morning routine. Trying to get kids ready for school, give everyone a healthy breakfast and leave the house sane is a challenge. Breakfast is such an important meal. Children need a healthy breakfast to give them enough energy for their busy day ahead and growing bodies. With fussy eaters and minimal time, it can sometimes be easy to let children skip breakfast or eat quick, sugary cereal. 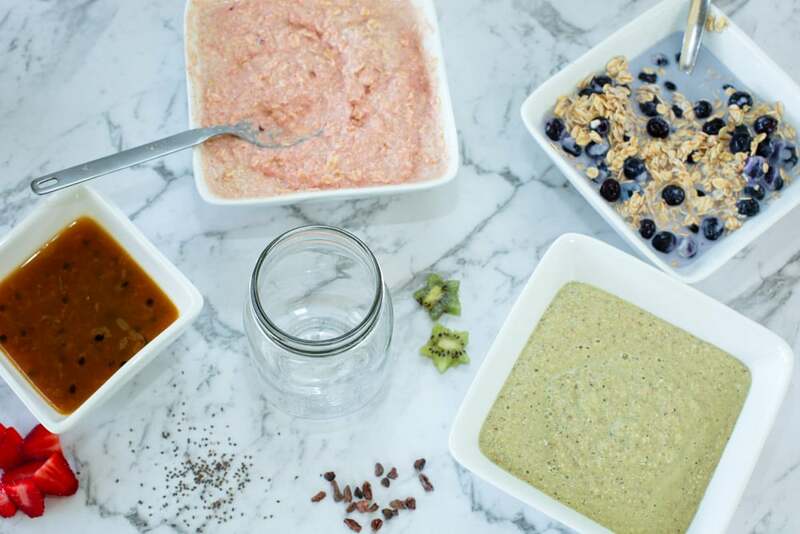 Make your mornings run smoother with this super easy overnight oats recipe. You can prep this easy breakfast the night before, pop it in the fridge overnight and let children help themselves in the morning. Full of healthy fruits and nutritious oats you can be sure that you are giving them the best breakfast for kids. 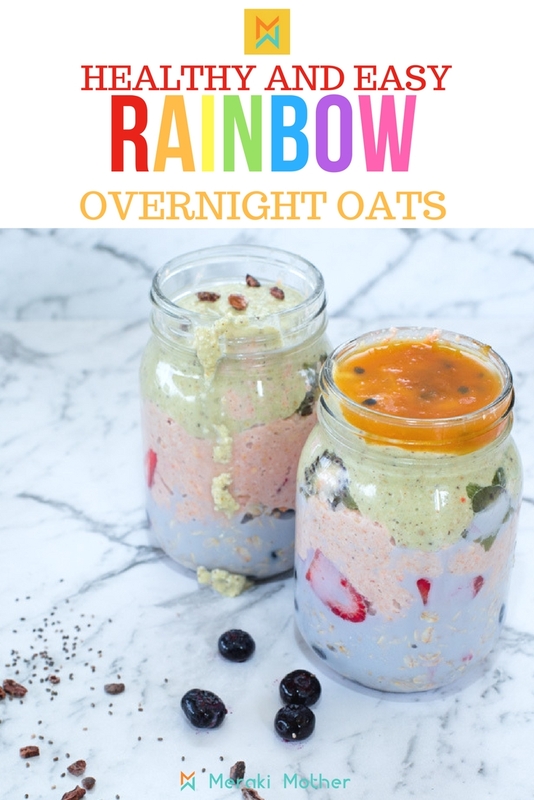 Looking for more rainbow breakfast food ideas? Try our tasty Unicorn Toast. 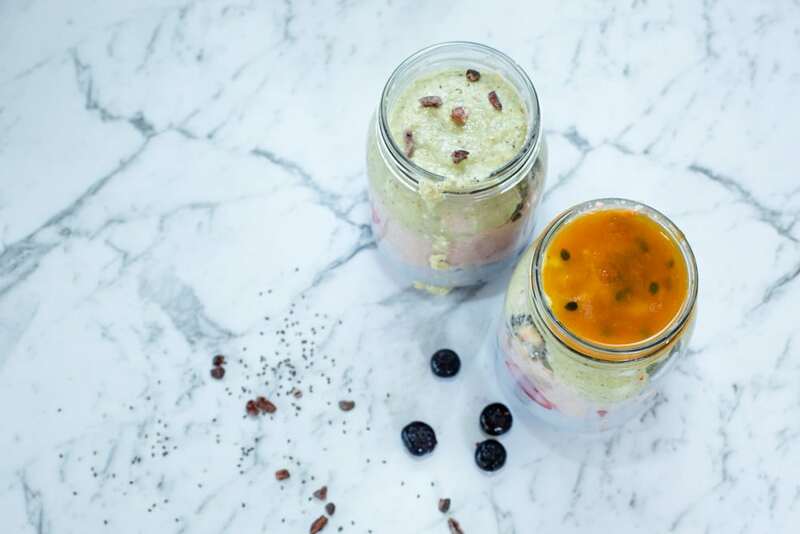 These easy overnight oats can be made in a few minutes and are a great healthy breakfast for on the go. Rainbow Fruit. Use what your kids love to eat but we used Kiwi Fruit for green, Strawberries for pink, Blueberries for blue and Passionfruit for yellow. If you don't have fresh, try frozen fruits. Milk of your choice. Normal milk, Almond Milk, Rice Milk and Coconut Milk are great choices. Sweetener. We used Pure Maple Syrup but you could use Stevia or Rice Malt Syrup. Extras. We add Cacao Nibs, Chia Seed, and sneak in some extra goodness with spirulina powder and acai powder. Get your containers ready. We love to use Mason Jars and found cute ones that let us write the kids names on top ( great for my eldest who doesn't like passionfruit). In seperate bowls add oats, milk, Maple Syrup and the fruit for that colored layer. For the blueberries we left each ingredient whole but decided to whizz the kiwi fruit layer ingredients in the blender for a smoother ( and greener color). You can also use ingredients like spirulina to make the colors bolder. 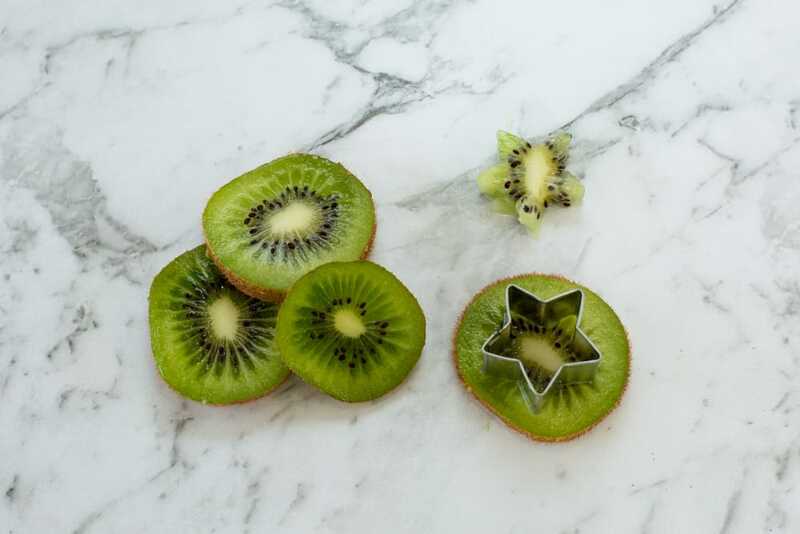 For some added fun we cut up strawberries and kiwi fruit with some funky shapes. Once you have all your ingredients prepped it's time to start the fun. Put the cut up fruit against the side of the mason jar then add a colored layer at a time. Be sure to leave some room at the top to allow for the oats to expand. 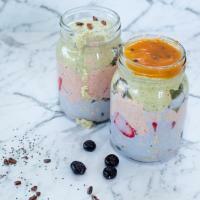 You can add chia seeds, nibs and whatever you know your kids will love to eat. Pop the lids on and leave them in the fridge overnight to soak up all the goodness. 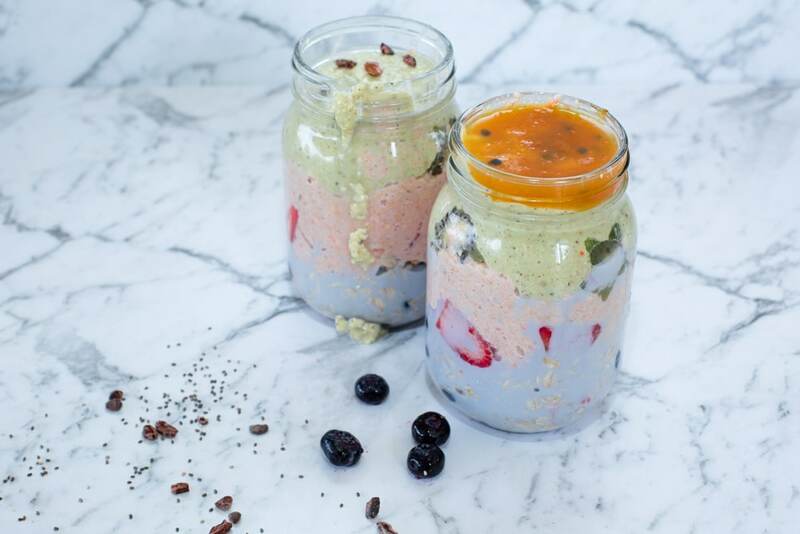 In the morning it is as easy as opening the jar, grabbing a spoon and tucking into a super healthy and nutritious breakfast!. Be sure to add enough milk to your oats when preparing overnight oats or they will be too thick to enjoy in the morning. You want a fairly runny consistency. We suggest a 1:1 ratio. You can also add yogurt to the mix if your kids like the taste. Want to learn more about healthy eating for kids? Check out our guide to healthy eating for kids here. Be sure to Pin this cute recipe for when you need some healthy breakfast inspiration. Easy Rainbow Home Made Play Dough.